While fall is definitely my favorite season, Halloween may be one of my top three favorite holidays. The spooky holiday seems to mark the halfway point before we descend into the full-blown holiday madness leading to Thanksgiving and taking us through to Christmas. So let’s enjoy the festivities, may they be fun, scary or both, with these sweet deals on decorations for that big bash and of course, the candy. You can’t forget the candy. That would be a truly scary sight. 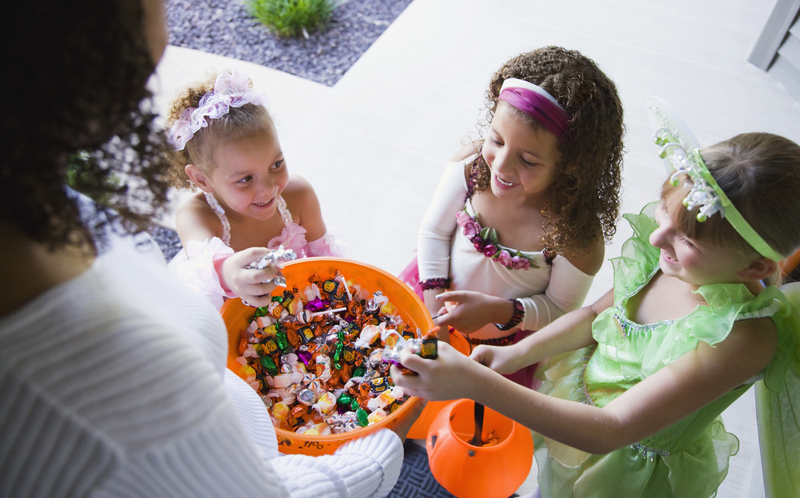 If you’re expecting trick-or-treaters to come knocking on your door, make sure to stock up on large quantities. Treat yourself to these savings and be sure to get the big bags at Kmart or be the favorite house of the neighborhood and get the king size candy bars at Costco. Or maybe you’re throwing a fancy All Hallow’s Eve bash and want to step up your food game. Dylan’s Candy Bar is a sweets wonderland that kids crave and adults will drool over. Now you can save 20 percent of unique, spooky and delicious Halloween treats using Goodshop exclusive coupons and donate 3 percent back to your favorite cause. Or if you just want to send some silly scary treats to someone, The Popcorn Factory has plenty of popcorn and other themed treats (with free shipping) while you donate 8 percent to a nonprofit or charity. I personally would be on the hunt for Jelly Belly Bertie Botts Every Flavor Jelly Beans from the Harry Potter series, because nothing says Halloween more than witches and magic. Whether you’re just decorating your house to the bare minimum or trying to scare the entire neighborhood, decorations help us get into the spirit of things. Spirit Halloween is the place to go for your spookiest Halloween decorations. You can save up to 25 percent on any item using these deals. Halloween Express offers some great coupons as well. I recommend the pumpkin carving kits while you’re picking up (fake) bloodied arms and severed heads. Maybe you’re looking to host an equally spooky Dia de los Muertos celebration instead of the usual All Hallow’s Eve festivities. While not as specifically marketed toward Halloween, Windy City Novelties also has a lot of decorations (and coupons) to choose from for whatever occasion you and your guests will be celebrating. Oriental Trading Company has Halloween decorations on sale now, and you can save even more money while giving 2.5 percent of what you spend to your favorite cause. Put the final touches on your awesome Halloween using more deals from Goodshop. I’ll be watching an all-time Halloween classic, Hocus Pocus.